Meet the all-new fishing and diving version of the Aquila 36 (36′ LOA, 14′ 7″ beam), a sport catamaran powered by twin Mercury Verado outboards up to 350 hp. While still offering the conveniences of a large yacht including two comfortable cabins with private ensuite heads, she integrates key fishing and diving features. Fishing enthusiasts will appreciate the spacious livewell, generous storage with knife and tool holders, fishing rod holders, and large fish box, all thoughtfully placed. Dive tanks easily store away in the aft and easy access to the water is provided with an integrated dive ladder. Additional options include a second BBQ, more refrigerated space, and extra storage. 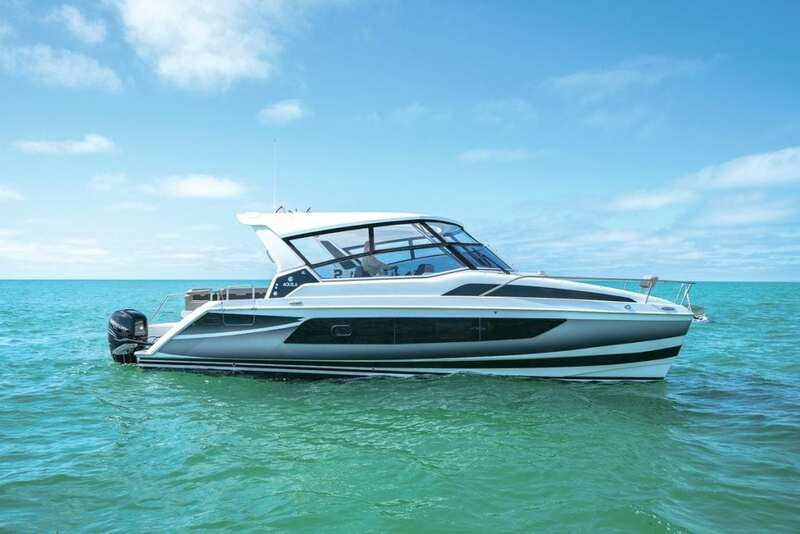 Powered by twin 250-hp engines, the Aquila 36 has a top speed of 27 knots, and cruises at 21 knots with a 282-nm range.